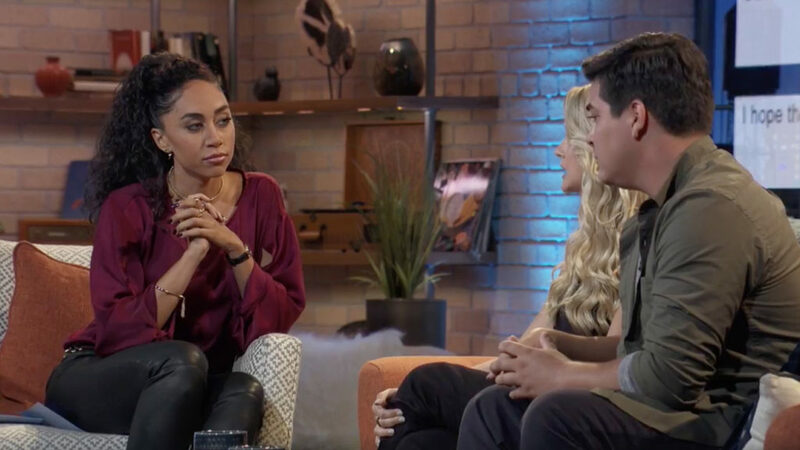 Facebook entered the world of long-form original programming in September with the debut of “Make Up or Break Up,” a show described by producers as a live social experiment where viewers decide the fate of a couple. 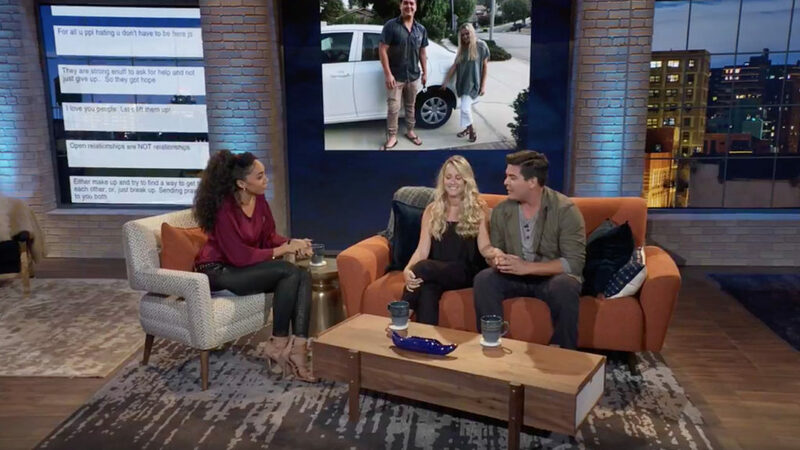 During the show, which lasts about 20 minutes and airs weekly on the social network, a couple will spill the details of their relationship and what’s gone wrong as host and YouTube personality Shan Boodram digs for answers. While this is happening, the social aspect of the show percolates in the background, with the live studio audience and the at-home social viewers voting via hashtags, such as #makeup or #breakup. Produced for Facebook by B17 Entertainment’s Thumb Candy Media, “Make Up or Break Up” films at Vista Studios near Los Angeles, which features a turnkey 4K IP production workflow from Snell Advanced Media. The scenic design of the show, from Jeff Hall’s JHD Group with art direction by Carson Alcoser, consists of an intimate and posh living room with brick walls and large windows showing a view of the city. Through the use of LED panels, the backdrop can quickly switch from the windows with thin mullions to a collage of pictures of the couple or to social content. Live audience reaction also appears on the screens as the votes begin to tabulate. Helping anchor the design is a keenly placed Doric column supporting a header that could be viewed as the support holding up the weight of a relationship. On either side of the main interview platform are smaller seating areas with chairs and knickknacks. Strong lighting design helps separate the zones and adds warmth while highlighting the texture of the brick walls. The set was fabricated by IDF Studio Scenery with AV integration by Matrix Visuals and lighting from John Conti. 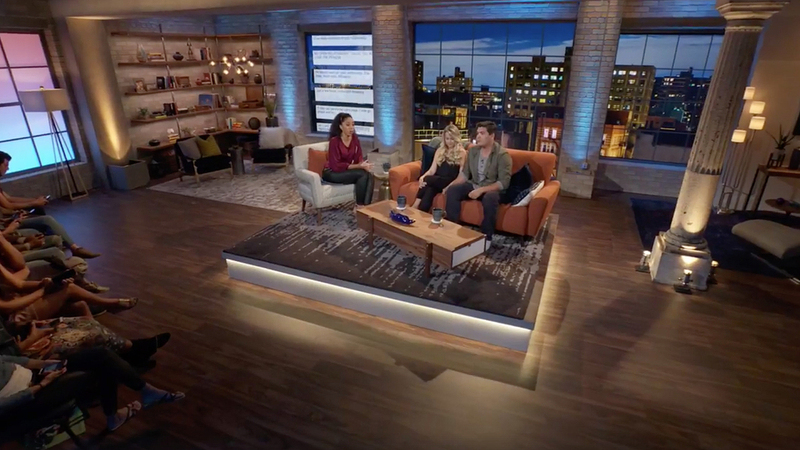 While viewing data has not been officially released by Facebook, the “Make Up or Break Up” episodes on Facebook have upwards of 300,000 views each, and Facebook has recently extended the show’s first season by 12 episodes.